Welcome to the home of the English Voice Artist, Sharon Plummer. Sharon Plummer is a professional English, female voiceover artist with an authentic British accent. Sharon has worked as a broadcast journalist and voiceover talent for nearly 20 years, making her a highly experienced voice artist. During her broadcast career, Sharon has worked as a radio newsreader for commercial radio stations across the UK and Europe, using her clear, authoritative voice to deliver the news in a friendly tone. Predominantly based in her home studio, Sharon now works on a remote basis, helping to cover newsrooms and deliver news bulletins direct to playout systems. 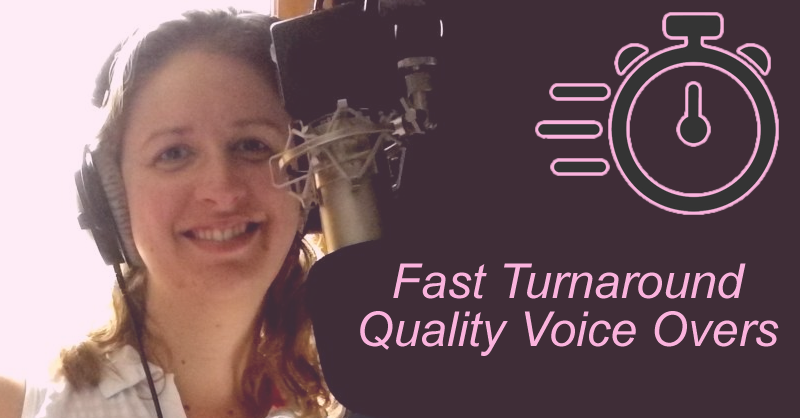 An established British voiceover artist, Sharon has recorded voice work for radio adverts, television adverts, corporate pieces, narrations, e-learning aids, online videos, smart phone apps, talking documents, radio imaging, independent films, educational aids and audiobooks for clients around the world. English/British RP (Received Pronunciation) often described as typically English - can be authoritative, fun, playful, upbeat (listen to voice samples). Character voices available too. Sharon is very proud of her work and always aims to deliver a fast turnaround, with most clients receiving a 24hour turnaround. All audio is delivered edited and in an mp3 or .wav format. With her versatile voice, Sharon can provide voiceover work which is clear, friendly, fun or serious, but can also provide character voices and accents if required. For bespoke quote and to further discuss your voiceover needs, please do get in touch using the contact page.